Potpouri Trailer & Leasing, Inc.
"SPECIALIZING IN QUALITY SERVICE AT COMPETITIVE RATES"
We are a repair facility for heavy duty tractors and trailers. In addition to scheduled service and repair we offer emergency road service. 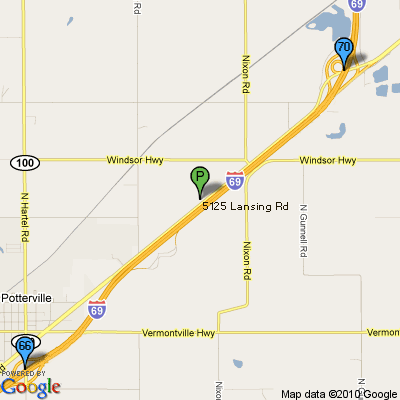 We are located at 5125 Lansing Road, just minutes away from southwest Lansing. From southbound I-69 use Exit 70, then one mile on the right. From northbound I-69 use Exit 66, then approximately three miles on the left. © 2010 Potpouri Trailer & Leasing, Inc.